Peach and gold designer men's shirt and tie. 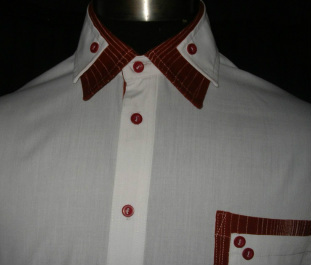 White and burnt orange double collar designer men's shirt. 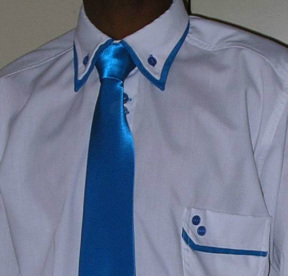 White and blue double collar designer men's shirt and tie. 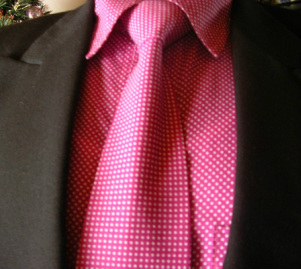 Pink polka dot designer men's shirt and tie.